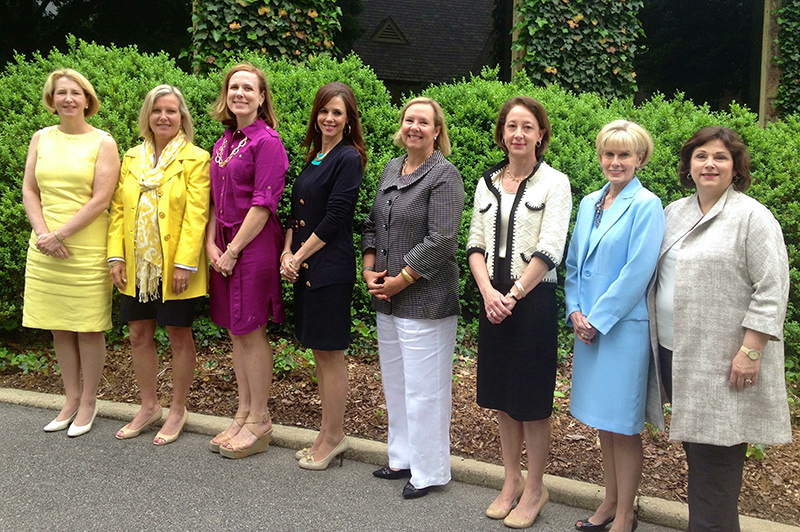 The Linly Heflin Unit welcomed its newest members during its May meeting at the Country Club of Birmingham. Carleton Ambrose, Lynn Cassady, Taylor Davis, Kendall Eagan, Anne Heppenstall, Kathy Hoskins, Rebecca Mason, Jackie Pierce and Carla Roberson all of Birmingham, will add to the talent pool of the service organization founded in 1919. The nine new members will start work immediately on the 55th Annual Scholarship Luncheon and Fashion Show. Since 1923 the major focus of the group is to further the higher education of young women in Alabama. Through the years over 3,500 four-year scholarships totaling more than two million dollars have been awarded to deserving recipients. Scholarship Committee Chairs Suzanne Chenoweth and Caroline Thomas announced 28 scholarships and two grants were awarded for Fall admissions this year. These young women will be attending ten different institutions of higher learning in Alabama. Currently a total of 97 women are receiving Linly Heflin Scholarships.